Everyone benefits from lesson observation. It is a potent way for teachers to find out what they are doing well and what they could improve. Almost as importantly, observers can learn a great deal about their own practice from watching other people teach and students learn. 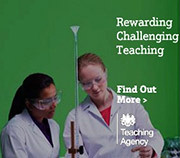 To suggest ways in which teaching and learning could improve to enhance the progress of pupils. Every member of staff can expect to be formally observed twice each year. One will be by the Head of Department and the other by a member of the Senior Management Team.